Today we are scrolling through some of the suggested 10 best pickups to buy right now, we are going to review and analyze each for why they are so popular on the market right now. There are many reasons you might be on the lookout for a new pickup. 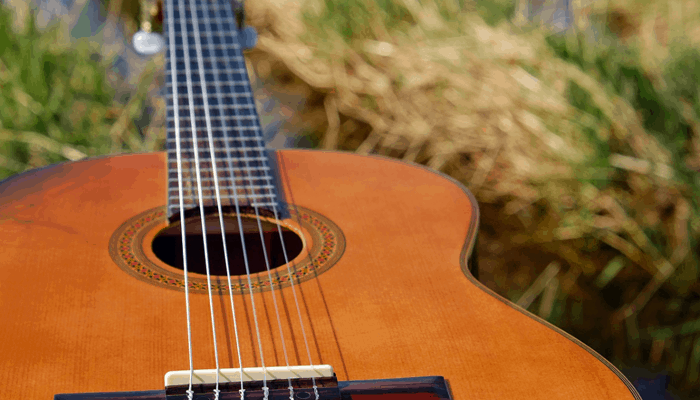 They have the capabilities of turning your acoustic guitar into an electric model. You might be looking to change your existing pickups on an acoustic-electric guitar or to fix or upgrade your electric guitar's pickups. Without a reasonable amount of knowledge to help demystify the mechanics of these clever little devices you can find your self pretty quickly bogged down with unnecessary jargon. So we have included a jam-packed guide to provide some valuable insider info. How to Choose the Right Guitar Pickup For You? 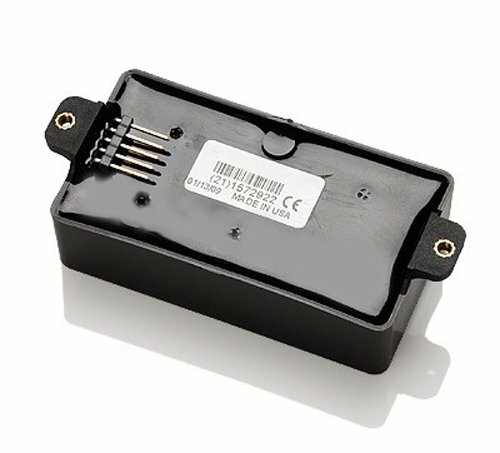 Which Electric Guitar Pickup Should I Get? Which Acoustic Guitar Pickup To Get? What To Look For When Buying A Guitar Pickup? The pickups production industry is more than a little competitive, a decent pickup for an acoustic for example won't set you back too much in the way of cash but there are literally hundreds of companies who are trying their hand at affordable acoustic amplification. With such an extensive selection to choose from it becomes tougher to tell them apart, work out just what they are offering, and whether you need it. Passive with soul of an active PAF. Fully shielded for noise reduction. Extra turns in the winding. The EMG JH James Hetfield pickup from EMG is the result of an epic collaboration between the Giants and James Hetfield of Metallica. This seriously meaty passive pickup for metal guitarists proves to be an extraordinarily high output humbucker set which provides a traditional beefy warmth that somehow manages tonal clarity that rivals an active pickups volume and attack. 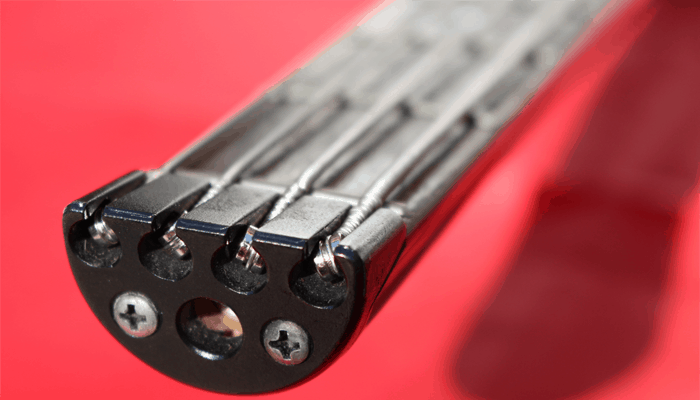 The JH-B metal and hard rock bridge pickup contain a steel pole piece for tight bass pickup sounds and the JH-N neck pickup for metal guitarists provides the increased attack because its pole pieces and bobbins are made of ceramic magnets instead. Each is patented after the pickups Hetfield used for the last three decades but have been tailored into an altogether superior set. 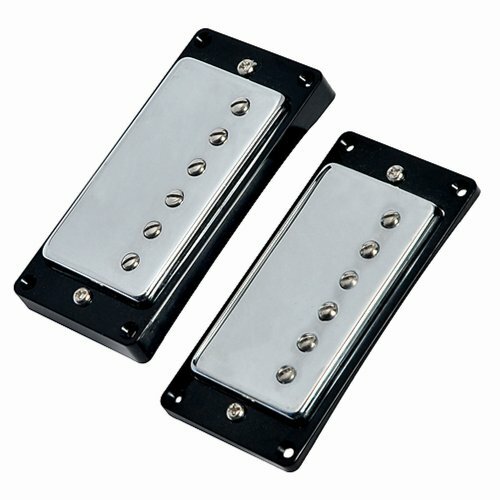 The metal craftsmanship and quality of the components used in this EMG JH James Hetfield pickup are of the premium level they are a stylish pair available in a range of metallic finishes and come with all the parts you need for solder-less installation. + Passive with active vibe. Why We Liked It - These EMG JH James Hetfield pickups genuinely have a distinct sound in comparison to other double pickup sets and make for an awesome upgrade to the popular 81 set we are about to review next. The H4 Is an impressive pickup an incredible attempt at a passive version of their famous 81 active design it is easy to see why it is their best seller. 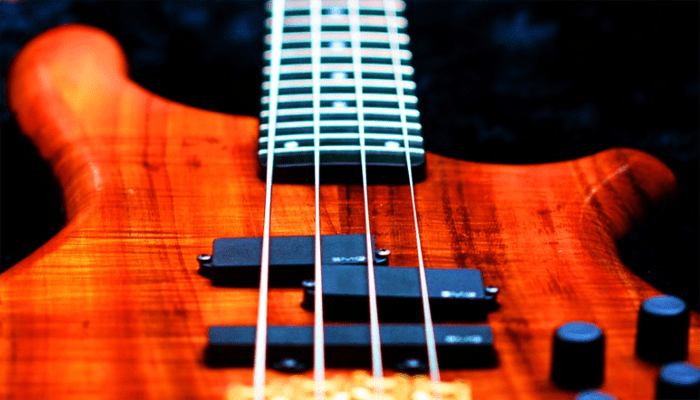 A lot of guitar and bass manufacturers feature Hz pickups as their stock pickups. This Humbucking bad boy has dual bar-loaded coils, ceramic bar magnets and is fully shielded. It comes with everything you need for their proprietary solder-free installation. The pre-wired volume and tone controls allow you to shape your sound. It gives a deep throaty grain and is ideal for hard rock genres. It is strong but not overpowering. 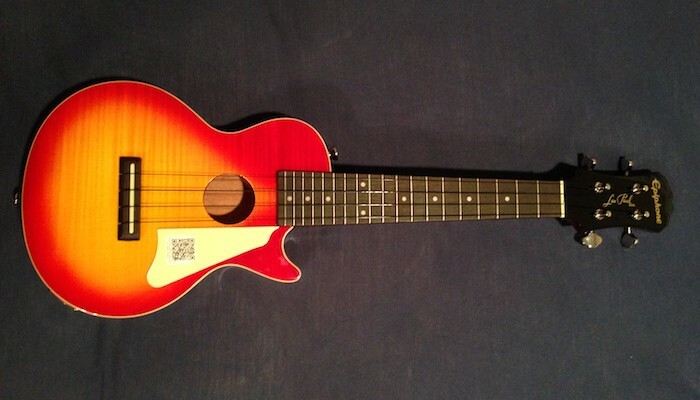 It responds well to bass frequencies and has a great cross board tone. 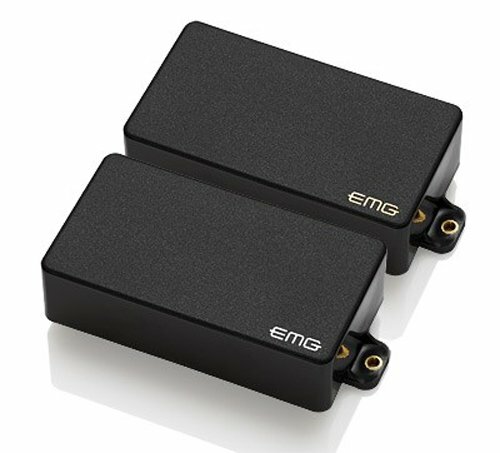 EMG is at the forefront of pickups for hard rock and metal with a long list of legends using their products as well as designing and endorsing them. + Passive with soul of an active PAF. + Fully shielded for noise reduction. Why We Liked It - It has puts out incredible levels for a passive pickup and has awesome harmonics. It is pretty indistinguishable from the signal of their famous active guitar models. This is a stunning bridge pickup companion to the 57 classic guitar pickup which honors the late 50's humbuckers in a rich vintage tone homage. From the company that crafted the prestigious guitars that Seth Lover developed the first humbucker sets for. These Gibson pickups feature Alinco ii magnets and give awesome across board tones. The Gibson 57 Classic Plus bridge pickup features extra windings and gives a hotter signal excellent for crunchy rock and high gains. 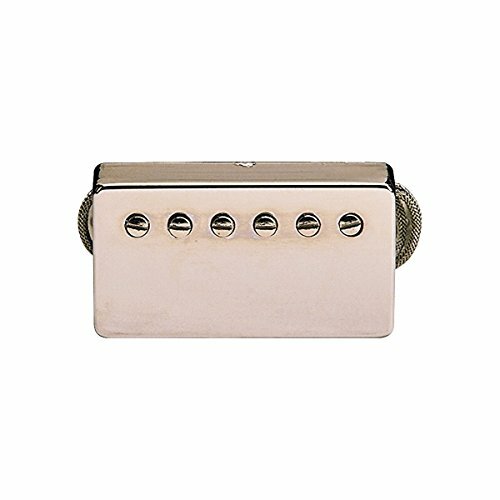 This classic guitar pickup is really responsive has a high output but isn't overbearing and provides classic tones with a little more bite. The Gibson 57 Classic Plus bridge pickup gives very clean tone articulation and benefits from enamel coated wires, maple spacers, and Nickel slugs. Gibson pickups are very versatile in terms of tone switching paired with their partner pickup they will set you back a pretty penny but anyone around will tell you they are well worth the investment. + Extra turns in the winding. Why We Liked It - The Gibson 57 Classic Plus completely transforms the sound of your guitar it will give the most boring of bodies a new lease of life with its sonic warmth. The Classic Plus provides a well balanced set of sound with some delicious dominating overtones. This powerful piezoelectric contact mic makes for a superb solution for acoustic electrification. It functions effortlessly attached to your soundboard and it's miniature size means it is fit for a range of instruments. Now you can enhance your performance options without investing In an expensive electric version and most importantly without any modifications. 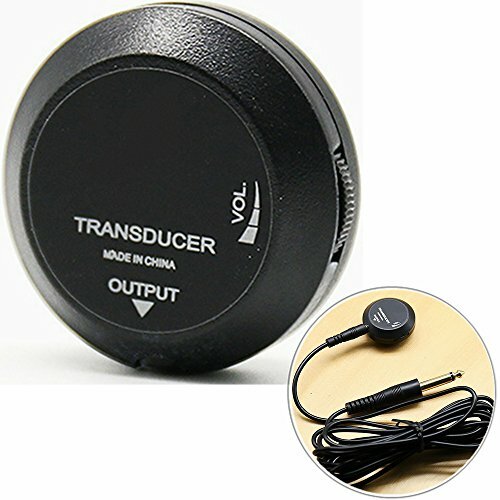 Transducer microphones incorporate a traditional Piezo pickup transducer microphone which measures the pressure of the electric guitar string vibrations. For one so small it seems strong the pre-amplified output is good but can feed at high volumes. It gives a more natural sound than a typical Piezo because it utilizes the whole soundboard surface. Coming in below the 20 dollar mark there is no real excuse not to try one. It isn't the highest acoustic pickup but certainly makes for an affordable solution. + Suitable for guitar ukulele mandolin violin banjo etc. Why We Liked It - It will amplify just about anything with flattop and won't break the bank. This is a further improved version of their best selling previous model. It is a refined and re-voiced magnetic, sound-hole pickup. It provides an even smoother treble response and features cutting-edge magnets extracted from a scarce earth element known as neodymium. Hence the name Rare Earth. It has Simple design and is super easy to use. Slip it into your sound-hole (it fits a range of sizes the smallest being 5/8”) and plug and play. It features active electronics (two 1.5 volts/one 3 volt) for less degradation than passive counterparts It is well constructed feels weighty made with top quality discreet, low-noise, low current circuitry. It produces a pure signal. It is a single-coil pickup but they are single stacked for a quieter reproduction of natural acoustic tones. + Humbucking stacked single coil. + Increased musicality within tones. + High end solution for acoustic guitars with a reasonable price tag. 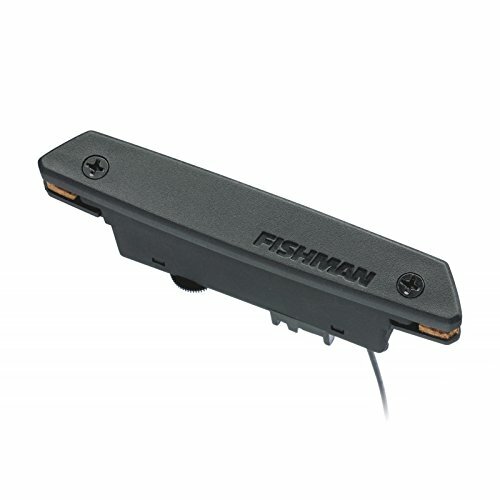 Why We Liked It - It has the exceptional accuracy expected of a Fishman pickup, manufacturers of some of the best branded models which have helped define acoustic pickup technology. Another superb supplement from the EMG signature set of pickups this time the calibration of Zakk Wylde's collaboration. This Mega model features the EMG 85 Alinco magnet and the EMG81 ceramic humbucker, both active. They provide aggressive tones and superb sustain and handle just about anything with a punch. It's fair to say that these high gain gizmos are killer with overdrive but the clean sounds are also great with decent equalization at a lower volume so they are great for thick blues guitar playing for those of you assuming they might be too metal and hard rock. 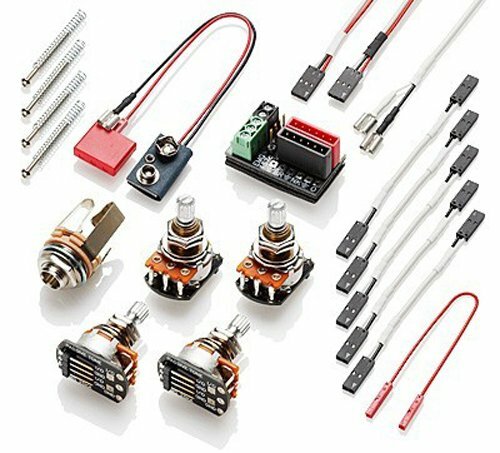 They are fully shielded and benefit form EMG own no-solder set up system all your wiring is taken care of. Why We Liked It - They are a screaming set of active pickups, riffs are instantly fattened, held notes wail on. As always Fender delivers nothing but the exceptional value with this set. They feature enamel coating windings so provide that vintage tone flavored warmth and Alinco 2 magnets for a fuller midrange. They have a vinyl covered output. They provide the classic retro telecaster tone but with less hum and zero noise. They are louder and better balanced than the originals and really do deliver the 60's telecaster sound but without the cycling buzz. The bridge piece provides the distinguished telecaster twang and the neck has a silver-nickel cover to provide more clarity. They are less aggressive than some of our other options but give the same sound heard from their pre-2010 American Deluxe Telecasters. + Fenders uncompromising brand reputation. + Vintage telecaster twang no hum. Why We Liked It - They give you all the versatility of the originals and vintage tone minus the noise. This set of budget pickups from Kmis probably made popular choice for nothing other than the price tag. For just pocket money investment they provide a sound that actually has blown a few away for their value. Being foreign imports the specifications don't give a lot of info to go on but they are double coil Humbucking pickups some corner cutting is probably on the cards given they are around a tenth of the cost of average leading brand pickup sets so they probably won't last you as long as a pricier pair. Hard truth's aside they review well, longevity-wise we can't really comment but they do a pretty impressive job. Obviously, expectations shouldn't be too demanding they appear relatively well made and would be good for a first time wiring project. They would also be great for emergency replacements but they won't offer you much than a shop bought a guitar. They are advertised as an affordable Les Paul replacement but they probably won't give your Les Paul an authentic new lease of life this information just really helps to determine the size rout. Why We Liked It - They are a pleasantly surprising set of cheap pickups. This makes for a cheap and cheerful choice and provides a modification free way to transform your acoustic into a powerful acoustic electric. Now expectations once again shouldn't be stellar but for a cool 12 bucks it provides a pretty decent sound and does exactly what it says on the tin. it is suitable for home use, practice and recording down ideas before they disappear. It has an easy-clip design feature makes it simple to clip straight onto the rim your sound-hole and first most sizes, it has magnetic pickups for use with steel strings for guitar. It's rich warm tones are a pleasant surprise. Whilst it is a removable pickup some users find the cable is a little in their way if you find that to be the case it can be run out of the back with a drilled hole. + Clip on, easy use. + Modest range of positioning adjustments. Why We Liked It - It is contender for our top ten, for its contribution to providing acoustic amplification to those on a shoe string budget. 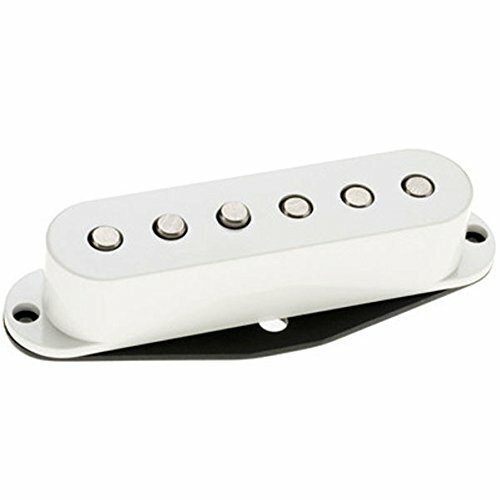 The Area 57 single -coil pickup from DiMarzio comes from their hum-canceling Strat series. It is one of the newer products in their line and is unbelievably crisp and completely noiseless. It makes for a good middle pick-up and compliments your playing that spanking Strat tone without the 60's hum. Magnet pull has been minimized for brighter vibes and better epic sustain by opting for Alinco 2 magnets. The balance overall is pretty good the lower notes are definitely outshone by the trebles with these Stratocaster pickups. There's very little to say about these pickups as their track record really speaks for itself. Why We Liked It - Countless legends have used DiMarzio DP100 pickups in their instruments Steve Vai, Dave Gilmour, Joe Satriani the list goes on and on this really emulates the great tones of the time free of fuzz. A guitar pickup is a device that transforms the sound you produce via your guitar strings into an electrical signal that can be amplified. There employ a number of different manners to achieve this, depending on the type of pickup. This is subject to the guitar you have the style you play and the sound you are looking for, whether you play for kicks or play for bucks and your prospective budget. So firstly, let's explore the different types of pickups and how they function. The way a pickup works is determined by which kind of pickup you buy so let's have a more in-depth look. 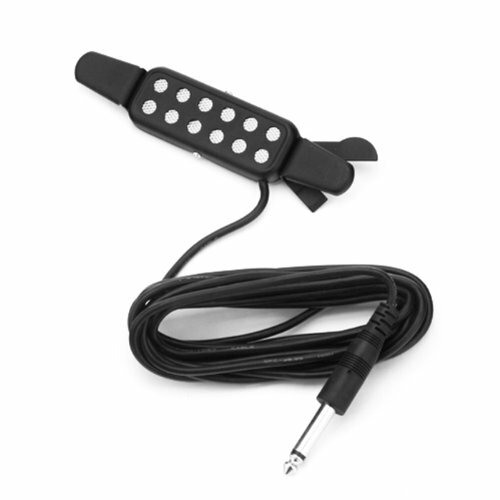 Piezo pickups are a type of microphone that convert the physical vibration of your guitar and bass strings into a signal using a compressed crystal. They are older technologically and sound very bright and trebled. They are the better option in regards to feedback. They come in a number of designs the most popular being under-saddle placement design, they generally require guitar modification to install. Transducer based pickups also work in direct contact in a similar way but they pre-amplify the sound and are attached to the soundboard of your acoustic rather than below the bridge position or internal. They take the vibration of the entire front of your guitar and produce a fuller sound but they are more feedback sensitive. Other acoustic options include pickups which are hybridized incorporating microphones or the convenient modern sound-hole pickups which utilize magnets and generate the electronic signal based on disturbances inside of their magnetic fields. These are widely available ad most just clip on or slot in requiring no permanent modification to your pride and joy. Magnetic pickups bring with them the opportunity to equalize your sound by controlling which areas of the magnetic field are more or less apparent in the mix giving you bass middle and treble option. They need to sit directly below your guitar and bass strings to pick up their movements. You will typically be able to adjust the height bringing the magnets closer or further for the guitar strings and often the angle so you can rake in favor of your bass guitar strings or your trebles or have a good mix. Magnetic pickups like acoustic soundhole pickups are the same which are built into your electric guitar though they have at least 2 if not 3 pickup sets minimum, many offering a lot more! As you can imagine this makes shopping for electric guitar pickup a little more of a minefield it is literally one of the most overstuffed gaps on the music market there's a plethora to pick through. Picking pickups for your electric guitar is a little more complex, but there is no right or wrong as it is something you can customize to your heart's content but if you don't know your stuff it can get tough. So let's have a look at the basics. First things first which sized pickups is your guitar designed for. Changing your pickups can be down with minimal wiring and there are plenty of instructional videos that can assist if you are a novice at going under your guitars hood so to speak. Next to consider is the type of electric pickup. Different model pickups will create different tones varied by the position of the pickup on the guitar itself and the style of pickup. Even identical pickups hear a different sound from the segment of the guitar they are situated at. Pickups placed closer to the bridge pick up higher frequency pickup sounds than those placed nearer the start of the neck positions. 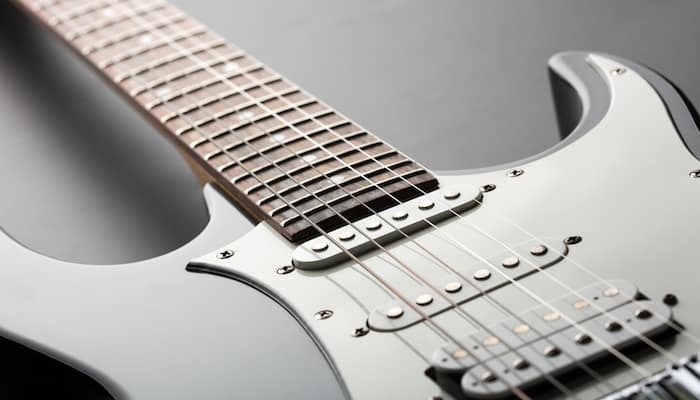 The number of pickups your electric guitar has will also determine the amount of tone control you have built-in, guitars with 2 pickups have 3-way switching essentially all or more of one, all or more of the other and both in conjunction. Guitars with 3 pickups have 5-way switching and so on. 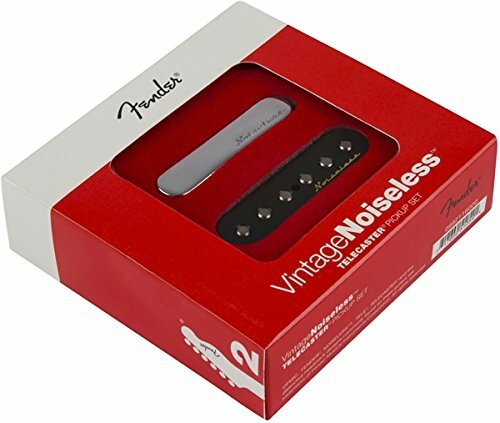 single-coil pickups or double-coil, passive or active, vintage tone (has weaker magnets to emulate older models) or modern, moderate output or high output. All Magnetic pickups house coil of wire until the late fifties they were subject to a lot of background hum. The solution was to use 2 coils wired in opposite polar directions so that the two were just out of phase and constantly canceling( or bucking) one another and so Gibson gave us the worlds first humbucker. 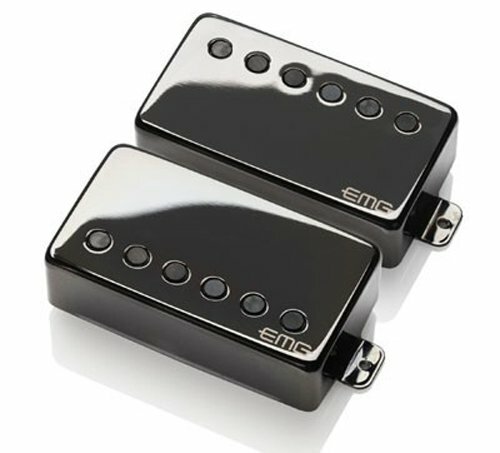 Almost all double-coil pickups are hum-bucking. Dual-coil pickups will produce a warmer tone than a single-coil. Single-coil pickups, in turn, will generate a much brighter, clearer sound. The choice between the two comes down to 2 things 1 the size of your pick up holes and whether they will only hold a single coil pickup and 2 the sound you prefer for example Jimi Hendrix played with single coils and had a dirtier overall sound than say Carlos Santana who plays with Humbuckers. Lots of guitars will have a mixture of the two. A popularly adopted placement that provides a full sound is dual-core near the bridge, and a single-coil on both the neck and the middle of the guitar this is commonly referred to as an HSS (Humbucker/Single/Single,) or FAT STRAT setup. Typically we see Passive pickups on the majority of guitars with coils of wire around magnets that require no electricity to function. 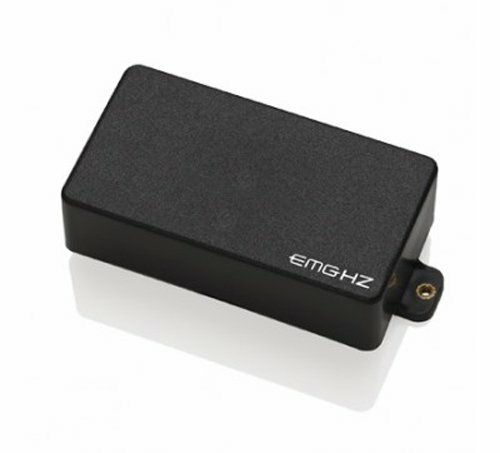 Active pickups contain a battery powered pre-amp they are higher output and minimize noise. We very rarely mix the two generally speaking and most prefer the softer guitar sound of a passive pickup. Sometimes a higher output can be far too much for some genres of music. Ultimately it is down to you, if your tone feels weak, opt for a higher output replacement. If you have too much distortion or a muddiness that doesn't suit your taste try something lower. Some guitars will have a multitude of pickups installed, allowing the user to change between pickup sounds at the flick of a switch. 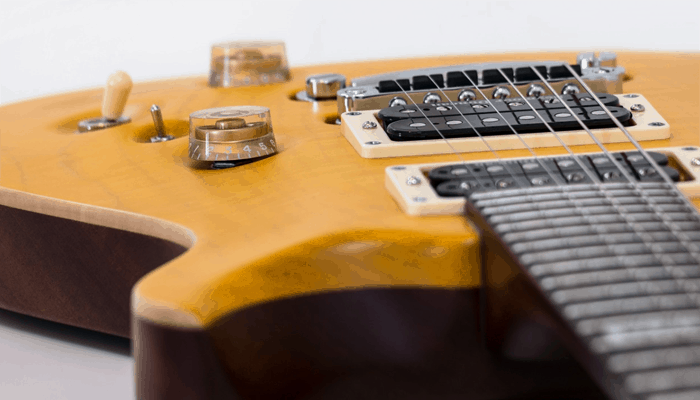 Some will also allow different permutations of which perfect pickups are being used, letting you use a wider range of combinations than just with a single style. Some combinations of pickup will also be able to be selected just slightly out of phase with one another that gives a 'honky' kind of edge to the tone. Some Electric guitars can be fitted with a piezoelectric pickup as well as magnetic. 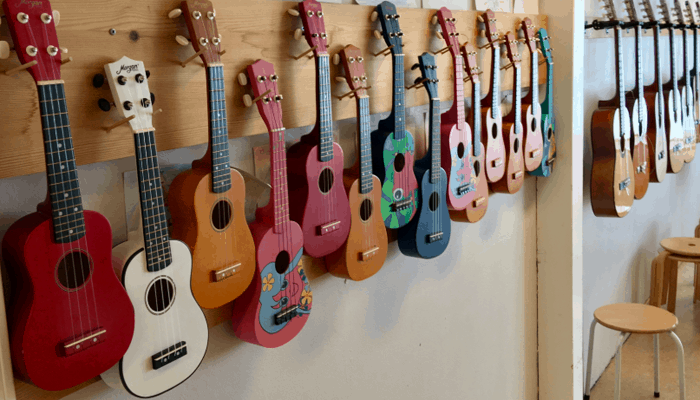 The key question is whether or not you’re willing to modify your guitar to install it some types require more modification than others so you need to consider how sentimental it is to you. If you are going to modify it you need to think about your ability to install it is recommended to have a professional install acoustic guitar pickups. Clip in or stick on options provide a convenient easy plug and play option and they are non-permanent. Other things to consider are the intended use (practice VS performance) and of course preference and price tag. 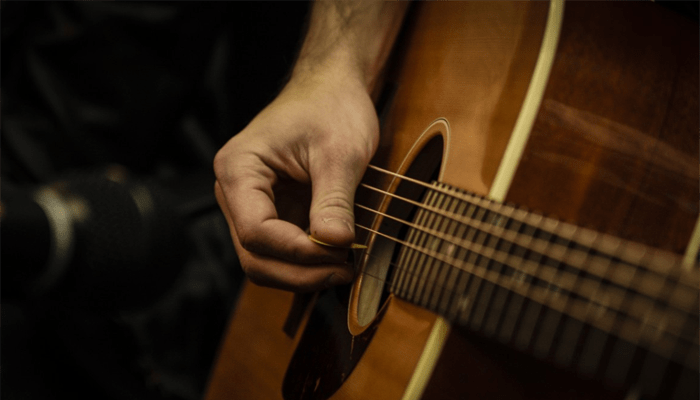 Our guide has probably helped explain a bit more about the types of pickup available but for further assistance with what to look for when you are after a decent acoustic pickup see our article on The Top Ten Best Acoustic Pickups for more information. 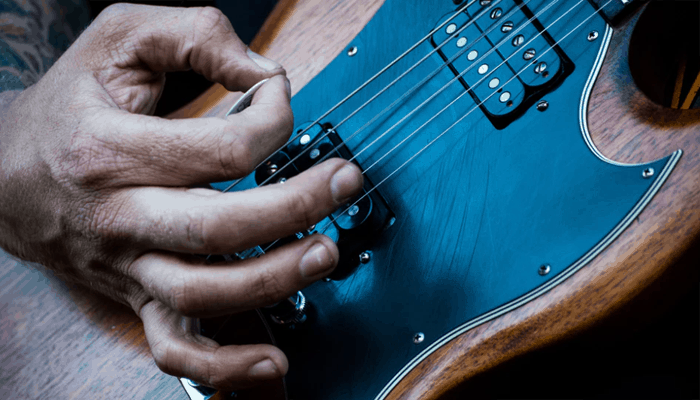 The key factors for perfect pickups really make sure it's the right size although there are options to resolve restrictions of this (see our expert tip). Next, decide on your output requirements though it is fair to note the right amplifier can adjust this either way for you. Consider your budget, if you are updating a great guitar adding a budget set of new pickups isn't going to do wonders as a brand name set will. More importantly; to humor not to hum? That really is the question. 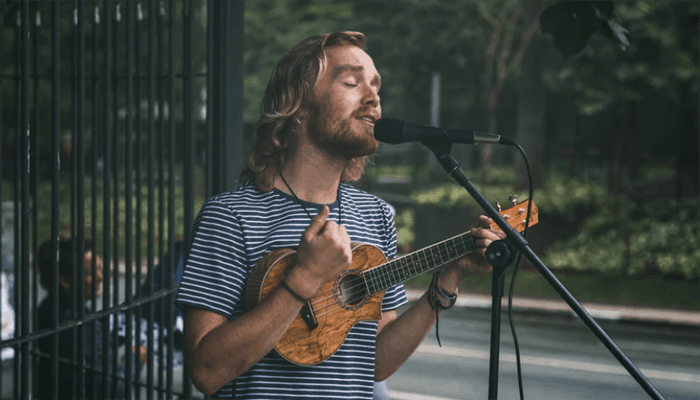 With your acoustic there is a little more to consider regarding the manner sound is picked up in the first place but if you head over to our suggested article at the foot of our previous buyers guide section you should find we have all your bases covered. Hopefully, you haven't been too bombarded with information pickups is a very complex subject and we really have only scratched the surface in terms of how they work. Ii can be especially tough to settle on a set of pickups for your electric guitar when there is a tonne of factors to keep in mind. Even the wood of your guitar and its body weight and size can affect which pickup is ideal for you in relation to your intended playing style and desired overall guitar sound. Certain magnet arrangements will complement the natural tones of specific woods others do exactly the opposite. As ever we hope our guide gives you some much-needed info to wheedle out what you need. You could also head over to the Seymour Duncan where they have a handy in-browser step by step pickup selector tool. If the size of the pickups your guitar has don't suit what you want to install, for example, if you want a humbucker size pickup but only have single coil rout, you can try a rail or stack styled pickup. If you want a single coil sound but your guitar has dual-size rout look for a humbucker that has the option to use each set of coils separately for a single coil choice. 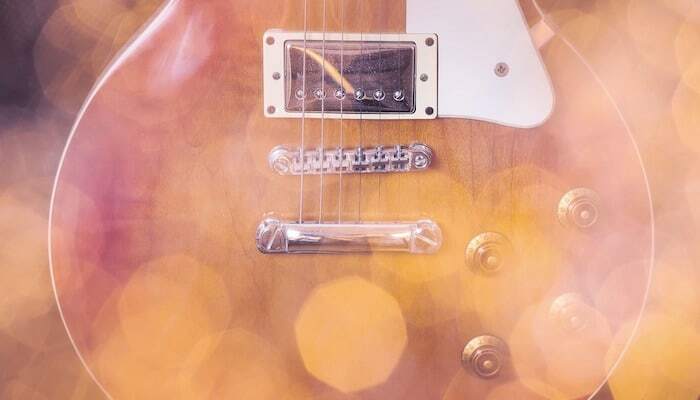 Humbucking pickups are sometimes referred to as PAF this is because when they were first created for Gibson they had a sticker on the back which read the initials which stood for Patent Applied For people still refer to humbuckers Gibson or otherwise as PAF today.